“Beach Boys California Dreamin’” in Branson takes you on a musical journey to West Coast beaches, and the folk renaissance era of sensational rock and pop music! 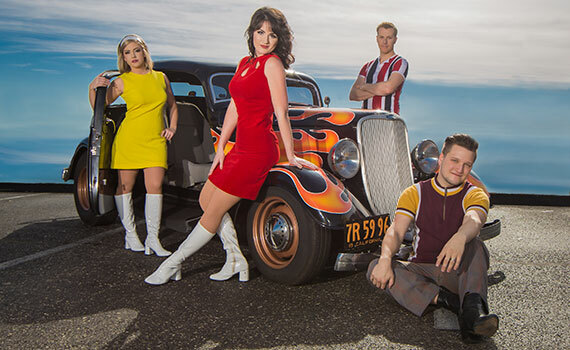 A talented cast uses beautiful harmonies combined with historical narrative and skillfully choreographed dance moves to share the hits of the Beach Boys, like Help Me Rhonda, Barbara Ann, I Get Around, Surfin’ U.S.A., and Be Wouldn’t It Nice. You’ll also be treated to the songs of legendary artists like The Mamas and The Papas; Simon and Garfunkel; The Carpenters; The 5th Dimension; Peter, Paul and Mary; Joni Mitchell; Burt Bacharach; and The Association. These groups produced some of the greatest music of that time, and their appeal has only grown over the decades. 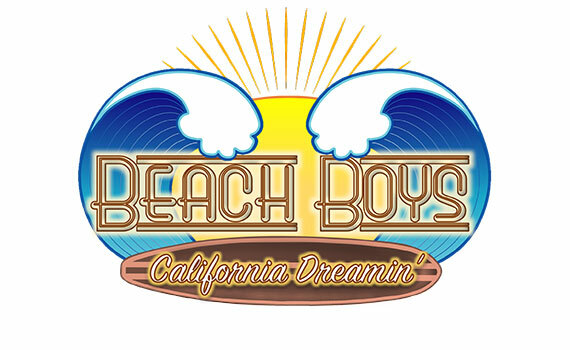 In the “Beach Boys California Dreamin’” show, feel-good ballads, upbeat harmonies, and introspective songwriting came together to create sounds you’ve never forgotten! It’s the music that took radio by storm in the 60’s and early 70’s, and it continues to gain new fans as each year goes by. Only in Branson will you find such an incredible variety of live entertainment productions, and this fun show has created it’s own unique place among all those wonderful musical offerings! Make sure you’ve got “Beach Boys California Dreamin” on your must-see Branson show list for your next visit to America’s capital of live entertainment...Branson, Missouri! Contact Branson.com today for more info.